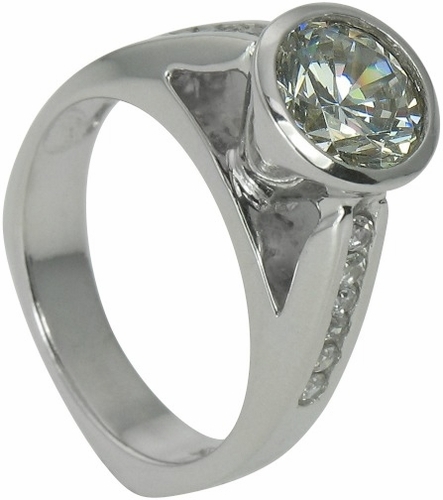 The Condella 2 Carat Round Cubic Zirconia Cathedral Bezel Solitaire Engagement Ring is a geometric inspiration with a 2 carat 8mm round that is set in a cone shaped bezel. 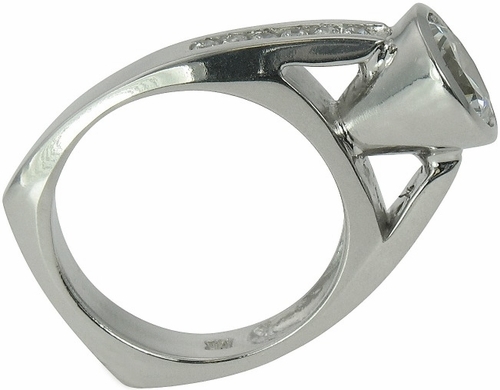 This engagement ring features a cathedral style setting with a European squared off shank. 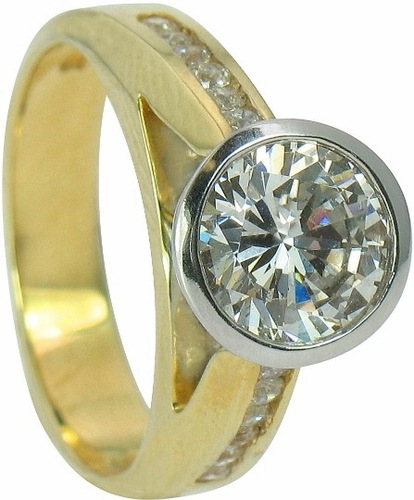 Additional round cubic zirconia stones are channel set halfway down both sides of the band. All Ziamond Russian formula cubic zirconia stones include a lifetime warranty and are all hand cut and hand polished to exact diamond specifications. 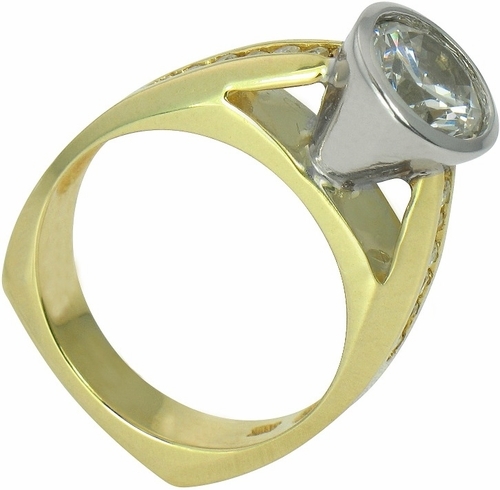 The band measures approximately 4mm in width and includes a total of approximately 2.35 carats in total carat weight. 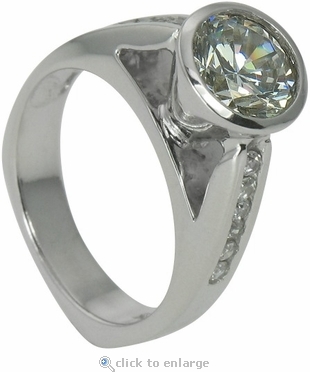 Available in your choice of 14K Two-Tone or 14K White Gold. This item is a clearance item. Due to extremely low pricing, all clearance items are a final sale. Comes standard in a size 5. Ring can be sized for an additional fee. See menu options. Sizes below a 5 or above an 8 available via special order.